Good Samaritan is owned by Ebenezer Home of Tennessee, Inc., a Tennessee Corporation dba: Good Samaritan Health & Rehabilitation Center founded in 1986. Our mission is to provide the highest quality of care through team effort and through continued service we’ll reach the highest level of care. Quality is the result of a team effort. The Inter-Disciplinary team (IDT) of Good Samaritan Health and Rehab Center strives to attain high-quality care through a collaborative effort with residents’ safety, comfort, and well-being as its primary focus. The facility’s staff members will continue to maintain and improve their skills through in-service training. 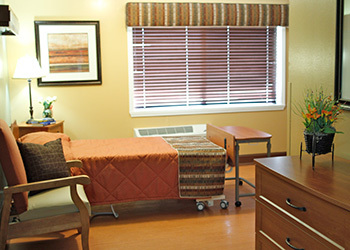 The facility believes that care is a continuing service; as such training has an important direct relationship to care. At Good Samaritan, we are committed to listening to your needs, understanding the life you want for yourself or your loved one, and then partnering with you to customize a solution for all the places you still want your life to go. Our trained and caring professionals at Good Samaritan Health and Rehab Center have helped thousands of individuals and families meet all kinds of senior living needs at home or in a community.